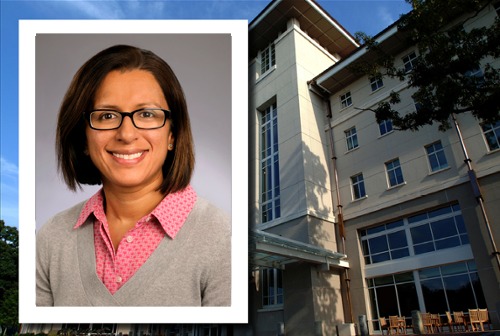 Winship melanoma specialist Ragini Kudchadkar, MD, and colleagues evaluated an immuno-oncology drug combination for patients with untreated brain metastases from melanoma. Winship Cancer Institute melanoma specialist Ragini Kudchadkar, MD, is a study author of a paper published August 23, 2018, in the New England Journal of Medicine that evaluates the safety and efficacy of an immuno-oncology drug combination used for patients with untreated brain metastases from melanoma. The paper looks at data from 94 patients enrolled in the CheckMate 204 trial, a Phase II study that evaluates the use of nivolumab in combination with ipilimumab. Twenty-six percent of the patients achieved a complete response, while 30 percent had a partial response. "This study is paradigm changing for the treatment of patients with melanoma in the brain. Now there is systemic therapy that can treat small, asymptomatic brain metastases without surgery or radiation," says Kudchadkar. "We are hopeful this will lead to improved long-term outcomes for patients with brain metastases from melanoma. We are so thankful to all the Winship patients that participated in this ground-breaking study." According to the American Cancer Society, an estimated 91,000 people are diagnosed with melanoma every year in the United States, and 9,300 will die from the disease.